It's time for a new TV. Our main TV is an 8 year old Sony Bravia 40" and while it's still perfectly serviceable, it is showing it's age in terms of picture quality and features. We now have an XBox One S and Fire TV HD attached and so have multiple 4K sources (UHD Blu-Ray, Netflix and Amazon). The time seems right to take the plunge with 4k and HDR. I didn't think this would be so difficult. It started easily enough - figure out a panel size and a budget. 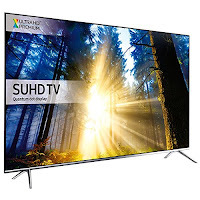 Initially I figured a 50" would be a great improvement and would be pocket-friendly as well as prices increase somewhat when going from 50" to 55". To be sure, we borrowed a 55" set for a few days to confirm that it would be too big for the room. It wasn't. It was perfect and, even though it was only a HD set (Panasonic DS500), the improvement in quality over the old Sony was astounding. 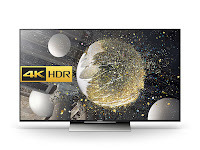 On budget, I initially thought €800-€900 would suffice, but even an initial review of pricing revealed that this was the very bottom of the 4K/HDR market and I'd realistically need to be looking at spending upwards of €1200. Of course, you can spend a lot more as you go up in the ranges from each manufacturer but finances unfortunately restrict such excess. This did help rule out OLED as an option so I'm firmly stuck in LCD territory. It also dictated that I'd likely be going for edge rather than full-array backlighting. From this point, things took a turn for the worse. I tend to think of myself as failry well-versed in a/v tech. I regularly read magazines such as Home Cinema Choice, What Hi-fi etc. and am a regular visitor and contributor to avforums.com. But even this didn't prepare me for the sheer range of sets on offer. To make maters worse, for some key features the manufacturers have started implementing their own measurement scales or indices which are not comparable. Add to this the obfuscation around panel refresh specifications and you have a murky soup that's difficult to digest. From initial desk research, I gained a general overview of the state of play. All the manufacturers have basic 4K / HDR models that aren't really HDR at all in that they don't have the correct colour depth (10 bit) and so implement a kind of HDR-lite. These base models also invariably have 50Hz panels. It's necessary to move up to mid or high end models to get 100Hz and 10bit displays. Armed with my basic research and list of requirements. I headed for the shops to see some sets in action and shoot the breeze with salespeople. At this point, the strongest contender was a Samsung 55KS7000 which seemed to fit the bill. First stop was Currys/PCWorld which had an amazing range of sets on display. The first salesman lasted about 30 seconds, stumped by the first question on comparative nit levels (!). The second guy was much more knowledgeable and spent 15 minutes with me going over the various options. He agreed that the Samsung was an excellent set but encouraged me to consider a Sony KD-XD85. It doesn't have the HDR-empowering high brightness levels of the Samsung but he was strongly in favour of what he felt was richer colour reproduction. He also pointed out that the Sonys came with a 5 year warranty (compared to 1 year on almost everything else) and it ran Android which would allow me load up Kodi as my PVR front end and so maybe dispense with the external FireTV box. The store had a demo reel on loop across several TVs and they had the Samsung KS7000 and Sony XD85 side by side. (The sales guy did say that the feed was 1080P upscale and the infrastructure wasn't great so it wasn't the best demo when you also take into consideration the lighting environment and likely poor setup). However, the Sony certainly had richer colours (maybe a tad too vibrant for me) but, worryingly, in one particular sequence of the camera flying over a choppy sea, the Sony displayed extensive noise in the wave crests whereas the Samsung showed them perfectly. Hmm. On to Harvey Norman who also had a good range of sets on display. Here I spoke to an excellent salesman who spent at least 30 mins with me and really listened to my requirements before pointing me towards options. Here too, we ended up considering the Smasung KS7000 and Sony XD85 as potential candidates. A pattern was emerging. During this session, I started thinking - what if I went for a lower-end 4K set now with a view to upgrading in a couple of years when specs. improve and HDR settles down. I threw in this curveball and the salesman pointed me towards an LG 55UH661V as a decent set at ~€400 less than the higher-end units I'd been looking at. With all that food for thought, I headed home for round 2 of the research with the LGs now in the frame and a nagging thought that I shouldn't be discounting Panasonic (the HD set we had on loan was, after all, a great experience). 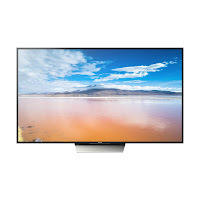 LG 55UH661V IPS ? ? Furthermore, with a tip of the hat to manufacturer-specific comparative indices, I decided to develop my own unscientific and proprietary scoring system - points awarded per feature, 6 for the best performer in each category down to 1 for the lowest. . The MediaServer8 index, or MS8i rating, for short!. Of course, even basic specs like brightness and response time are not reported in a consistent fashion and are sometimes not available from the manufacturer. If a figure is unavailable, it gets a 1 point score! It's no surprise that the Samsung 55KS7000 comes out on top. From my research, it's the one everybody recommends and really is the entry point to the top-tier of the state of the art. Interestingly though, The Sony XD85 takes second with the Panasonic TX58DX750B something of a surprise in third. 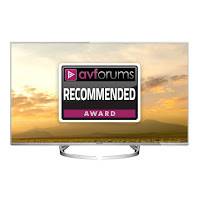 Almost universally recommended as a perfect balance of price and features, this is the only Ultra HD Premium certified set under consideration. Having see it in the flesh, it looks great. Compared it directly to the Sony XD85 which had better colours but more noise and to a Samsung KU series set which was blowing out highlights on the same feed. Overall, the one my head tells me to get, though I'm a little worried by the 1 year warranty and general impression that Samsung is not as good as it used to be. The one my heart says to go for! I'm used to Sony and they do stand up to the ravages of time. This has Android OS which would fit in well to my whole-house eco-system. It comes with a 5 year warranty and great colour reproduction but I'm seriously worried about the artefacts I could see in a direct comparison with the Samsung KS7000. A set I haven't seen but a contender on merit - it scores well here and I was impressed with the Panasonic DS500 loaner we had for a few days. At 58 inches though, it may be a little big for the room. Ticks a lot of boxes though and has the same contrast ratio as the Samsung KS7000. Has the highest input lag though, and only two of it's four HDMI inputs are version 2.0. Another unseen specimen, this gets on the list as the step up from the 661V, with higher native panel frequency and generally better spec. Lower spec. version of the XD85. Still with Android and those great colours but let down by lower Hz and higher input lag. Still an attractive proposition though when cost/benefit comes in to play. A low score, mostly because I cannot find much detail on brightness, contrast or response times. The cheapest of the bunch though and a contender if I decice to go for the lowest-spec option with a view to upgrading in a year or 2. I feel this would give the initial wow factor but I'd be sorry after a few months!